Yes, it’s true, you can buy a brand new boat for under $1,000 - and we're not just talking about kayaks. 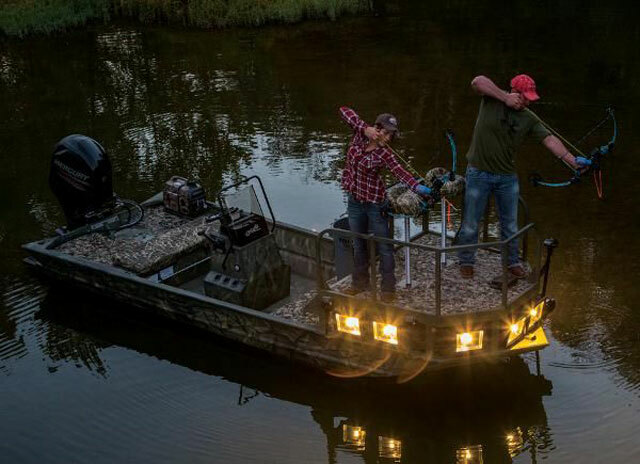 Despite boating’s reputation as a rich man’s sport, most people can afford one boat or another, whether it’s a $10,000 Bass Buggy or a $5,000 aluminum fishing boat. If those are still too rich for your blood and you need to get out on the water for a thousand bucks or less... well never fear, dear boater, it can be done. 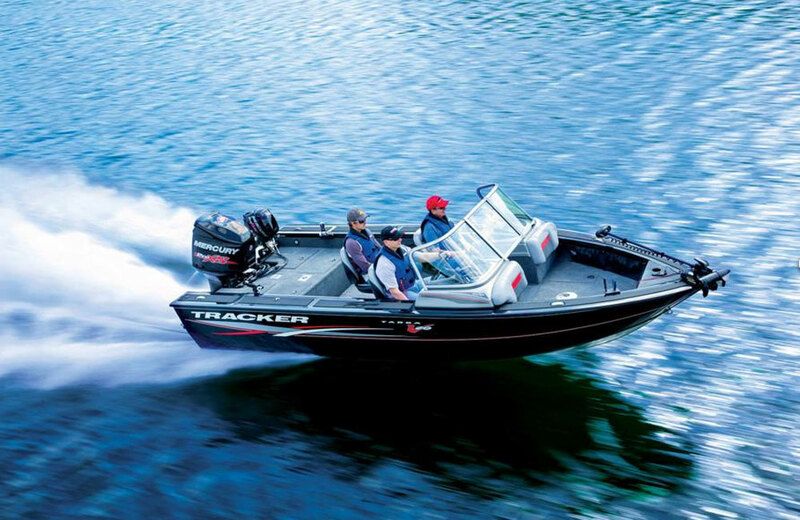 Here are five brand-new boats which list for less than $1,000. 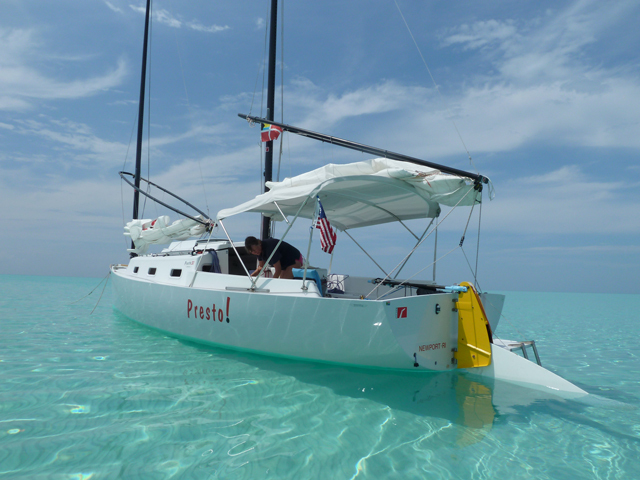 If you need a new boat for under a grand, plastic is fantastic. This Sun Dolphin comes in just under the wire at $999. $999.00 Sun Dolphin Pro 94 – Yes, at a buck under our price-point the Sun Dolphin Pro 94 is an awesome option. Of course, that’s the price without a powerplant. No problem. $999 is the MSRP and in the real world, you can find one for as little as $850. Take the remaining cash, and get an electric trolling motor and battery. This will net you eye-watering speeds in the four mile per hour range, which is really all you need for a day of pond or lake fishing, river exploration, or gunkholing. Want more speed? 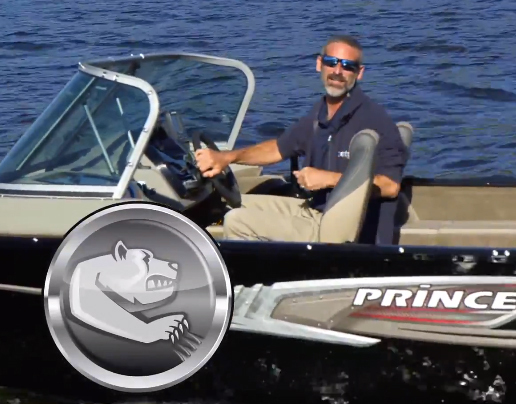 If you have an old outboard laying around, the transom can take up to five horsepower. 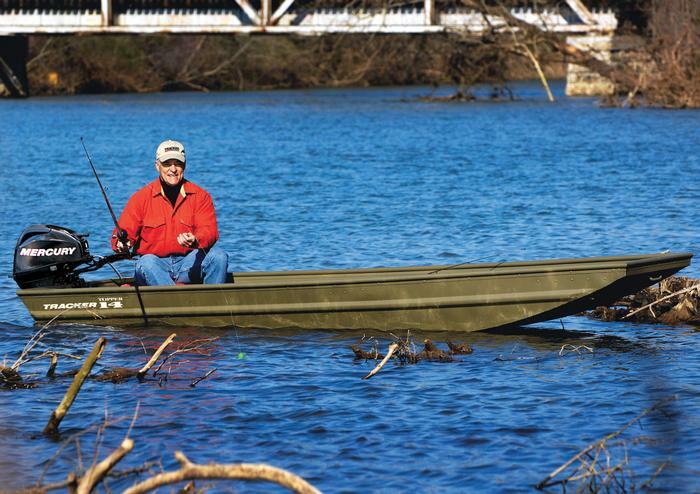 The Sun Dolphin Pro 94 is made of high-density polyethylene, and it has molded-in goodies like a livewell, battery box, motor mount, and a pair of swivel seats. Length is 9’4”, beam is 4’7” and displacement is a whopping 150 pounds. That means it’s small and light enough to get by without a trailer—just lift the bow, rest it on the tailgate, and shove it into the back of your pick-up truck. 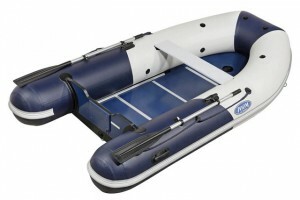 For more information, visit Sun Dolphin Boats. 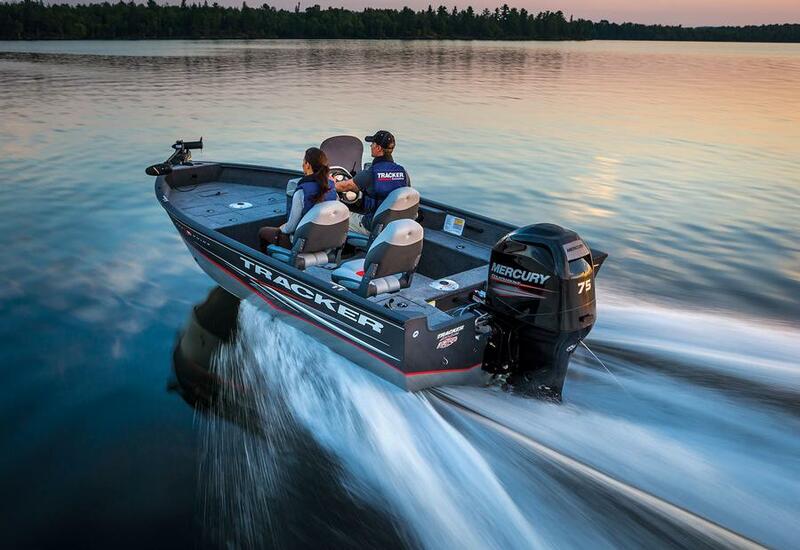 No, the outboard isn't included, but this Tracker Topper 1436 is shockingly inexpensive. 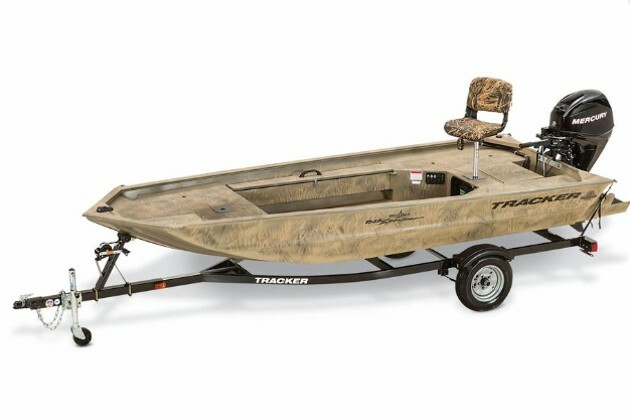 $699 Tracker Boats Topper 1436 – This 13’10” long, 4’6” wide aluminum jon boat may not be fancy, but it does represent the most deck space available below our price cut-off. 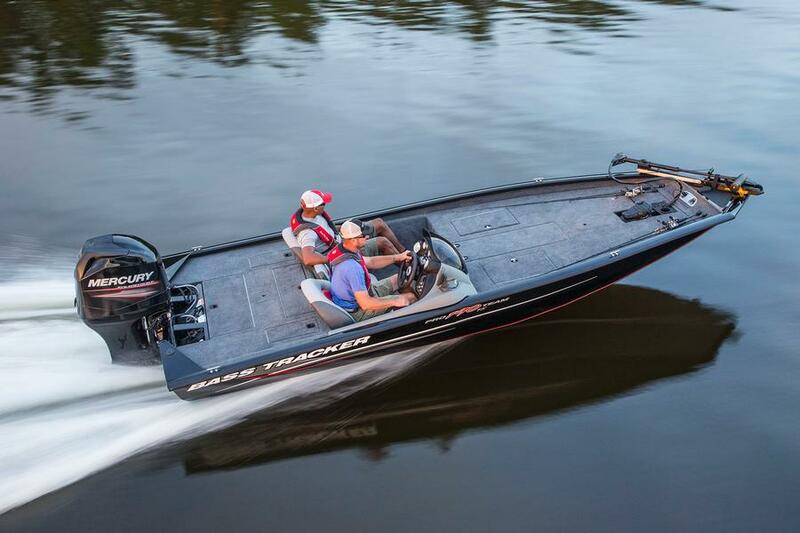 It has two bench seats, bow and stern lifting handles, and… and… well, that’s about it. But, what do you expect from a boat that costs less than some cell phones? Made from 0.05” gauge aluminum, the Topper 1436 weighs just 124 pounds. As the name suggests, that light weight means it’s easy to use this boat as a “car-topper,” by flipping it upside-down and strapping it to a roof-rack on a car or SUV. If you want to add an outboard it can take up to 15 horses, and the riveted hull is protected by a three year warranty. 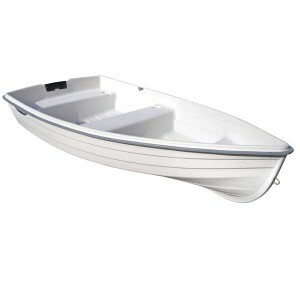 At a marine supply super-store near you: the $649 West Marine Classic Dinghy. 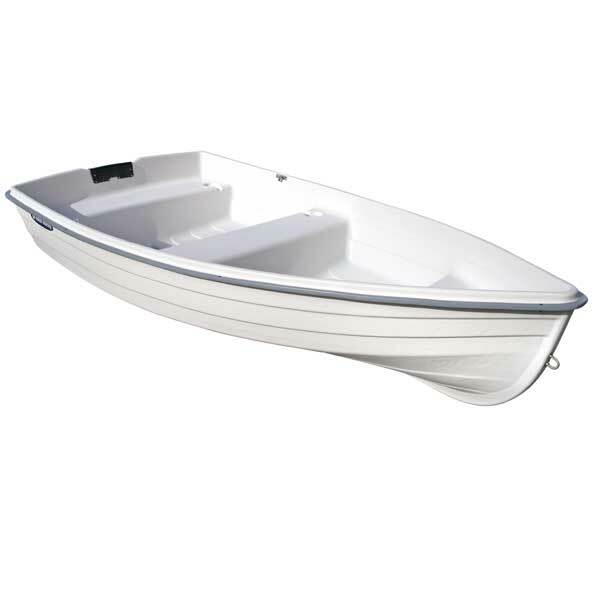 $649.99 West Marine Classic Dinghy – At 8’9” long, 4’7” wide, and 100 pounds, this thermo-formed polyethylene beauty is made in the US of A. It’s rated for up to six horses and comes with molded-in handles and bench seating. The finish is knobby, which is good from a non-skid perspective, but not so good when it comes to sticking on registration numbers (a problem common to polyethylene boats with textured surfaces). So you’ll also need to invest in a Sharpie and some stencils. For more information, visit West Marine. The Zodiac Zoom isn't only affordable, it's also easy to stow. $625 Zodiac Zoom 230 – Need to stow your pride and joy in a small apartment closet? 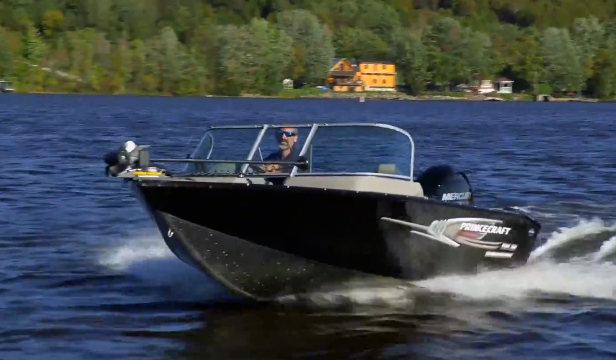 Then the Zoom 230 is your perfect boat. It has a slat deck, so once the air is out of the chambers the whole thing can be rolled up and socked away in an area just 3’3” by 1’8” by 1’0” until your next trip. When fully inflated, it’s 7’7” long, 4’5” wide, and weighs a mere 57 pounds. One caveat: the air chambers take up an awful lot of space, so the interior is just 4’9” long and 2’0” wide, which is just enough room for you and your dog. Assuming your dog is a Chihuahua. 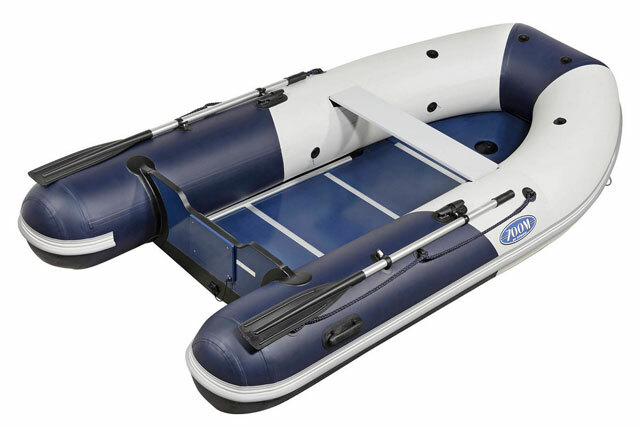 The Zodiac Zoom is made from glued “Strongan” PVC fabric and has truncated-cone tube ends to add buoyancy aft, which helps to hold up the whopping-big four-horsepower outboard it can take on the transom. And unlike most of these other inexpensive boating options, it comes fully equipped with a number of goodies, like a pair of aluminum oars, a foot pump, a carrying bag, and a repair kit. For more information, visit Zodiac. 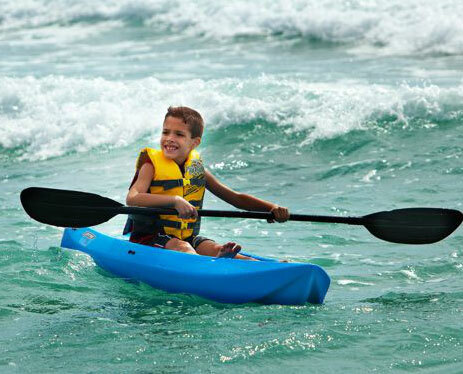 Yes, you knew a kayak was going to be mentioned sooner or later. Here it is, the Lifetime Wave. In case you hadn’t guessed yet, this is a Walmart special. And the cost shown here is online, excluding shipping, so in the real world it’ll cost you closer to $150. You might also need a diet, since the Lifetime Wave is designed for kids who are less than 130 pounds. Older and larger folks will have to ante up another $100 for the adult version. Both come with a free paddle, and the blessings of simplicity. For more information, go to Walmart. We hope we’ve proved our point—you don’t need to spend a million bucks to become a boater. In fact, you don’t even have to spend a thousand. 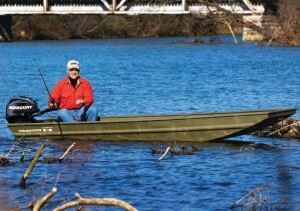 A fine watercraft like one of these is all you need to enjoy a day of fishing, paddling, or waterborne exploration. So go ahead and write out those bills. Pay for the kid’s braces, make a donation to their college funds, and splurge on a nice dinner out with your spouse. You’ll still have plenty of cash left over for your boating budget, if you opt for one of these five boats.